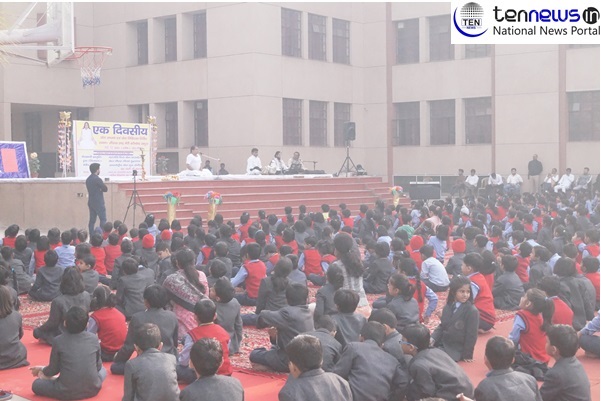 Today in Jesus and Mary Convent school, Delta-III, Greater Noida a one day yoga camp was organized for all the students. The yoga camp was organized by international yog guru Yogiraj Preem Yogi from Patanjali Diva Yog Foundation, Tilapata. The motive behind this yoga camp was to develop moral values and good character as well making students fit and healthy. During this camp yogi ji performed various asana and then followed by students. He also detailed about the power of Gayatri mantra and that Goddes Gayatri is the mother of all ved. There after he described about the Surya Namaskar and what are its benefits. While this yoga session many of the students came over stage and performed various asana like sersashan and many more.